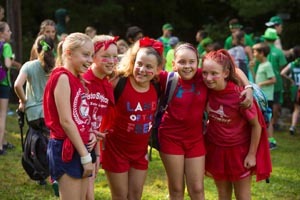 Summer after summer, Chickami campers build meaningful relationships, learn new skills and discover their most authentic selves through creative play and enjoyment of nature on 22 beautiful acres of wooded land in Wayland, MA. The camp was founded in 1955 and has been owned and operated by the West Suburban YMCA since. For more information on Camp Chickami, Camp Pikati and Camp Frank A. Day, please contact the Y's Camping Services Branch at 617-244-6050 x3008 or campings@wsymca.org.